I rarely cook but sometimes there are things that I just have to know how to recreate. 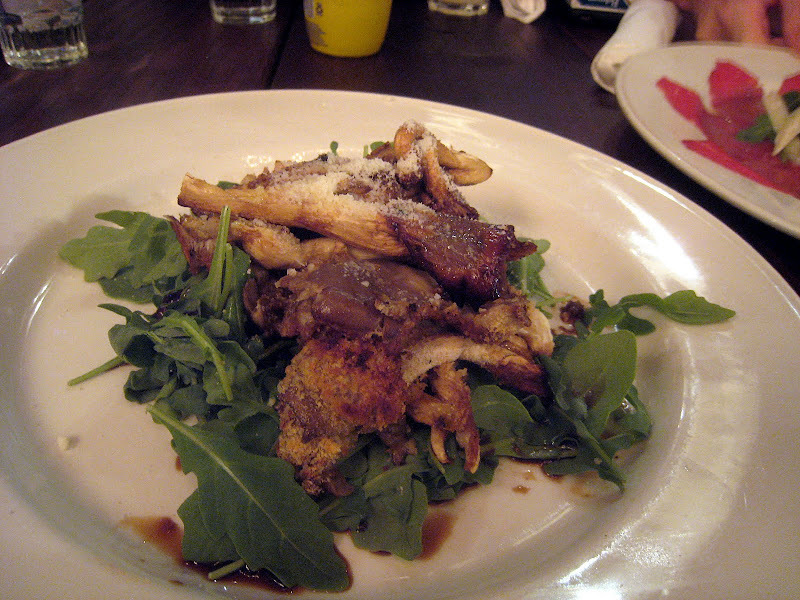 Terroni's baked mushroom salad is one of these things. Baked for a short while. A mixture of balsamic vinegar, olive oil and garlic drizzled on top as a dressing. It is amazing and seems pretty simple. I am going to try it out anyone else interested. First attempt - failed. Tasty but not the right texture. what was wrong with it? too chewy or mushy?